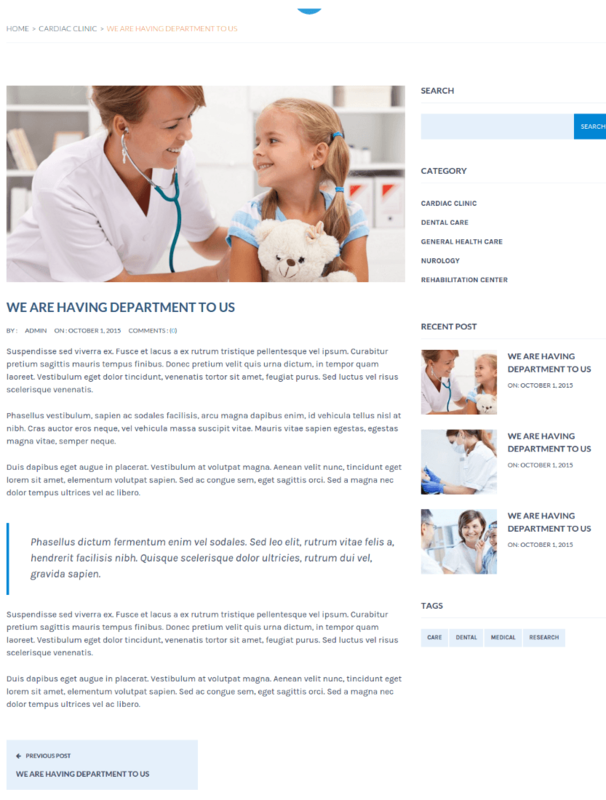 Medical and health blogging WordPress theme. 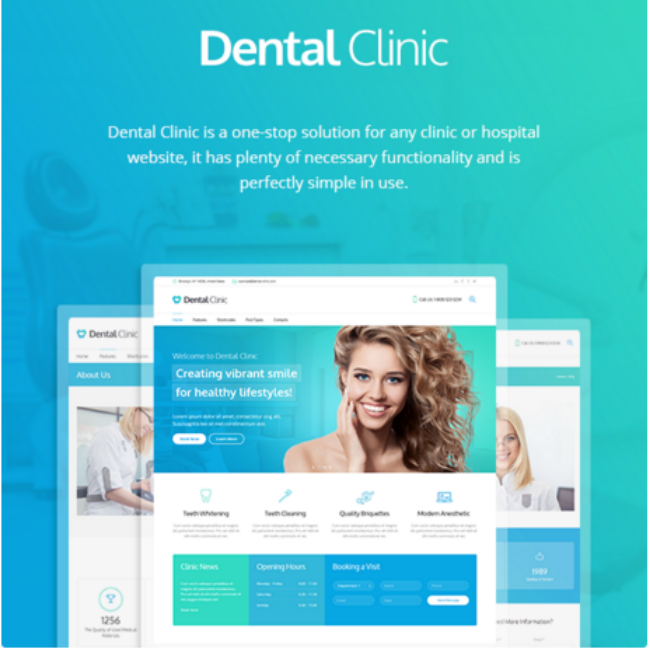 A Clean & Responsive medical & dentist theme. 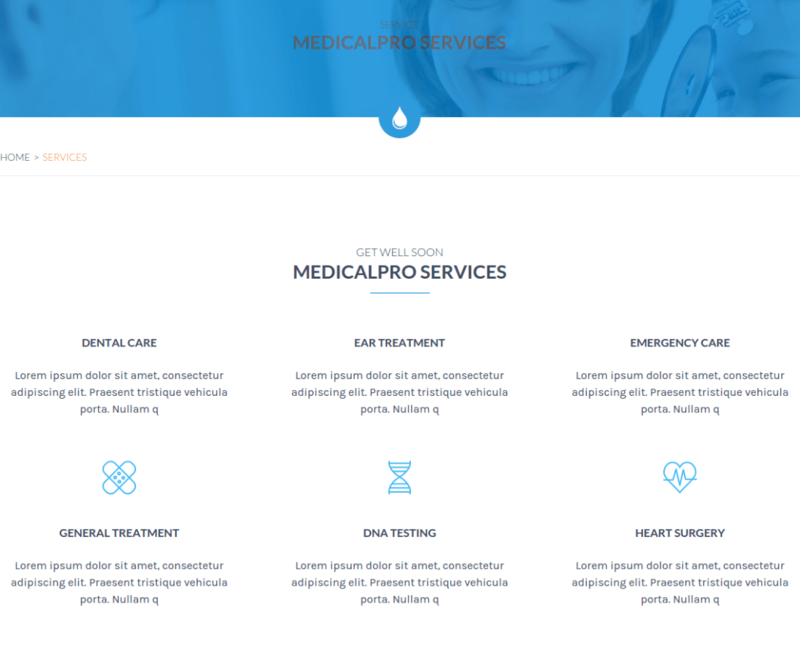 MedicalPro is a dynamic, well structured WordPress theme for Health and Medical websites. It is a well documented theme that will guide you in building site with it, also it is responsive hence it can easily adapt devices ranging from desktops, laptops, tablets to mobile phones. On activating this theme you get a huge set of theme options panel which has lot many powerful settings to choose and customize site with few clicks without any knowledge of programming. 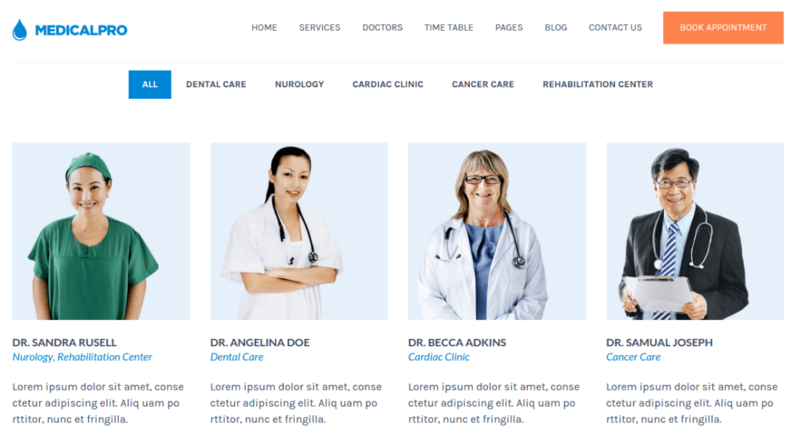 This theme is compatible with a powerful page builder plugin called Visual Composer using which you can build any web page with any desired structure. Visual composer comes packed with 40+ elements like Message Box, Facebook Like, Google+, Pinterest, Tweetmeme, FAQ, Single Image, Image Gallery, Tabs, Tour Section, Accordion, Icon Element, Posts Slider, Widgetised Sidebar, Button, Call to Action, etc. 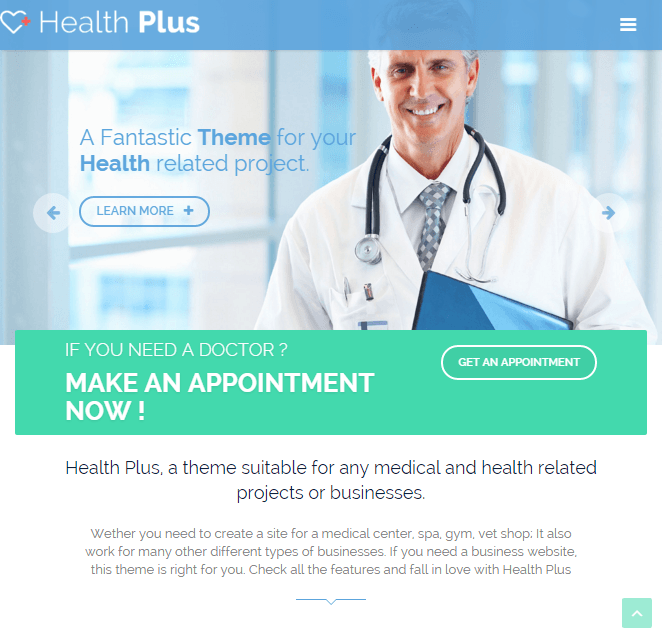 This theme has added some custom elements for this page builder like dynamic display of services, departments, doctors, blogs, testimonial and appointment form with different options. Other than this it provides 4 different homepage layouts, revolution slider plugin, 12 prebuilt page templates, compatible with timetable plugin, booked plugin for appointment booking, and child theme support, etc. I have never seen such a wonderful medical related theme. Developer has put really good efforts. 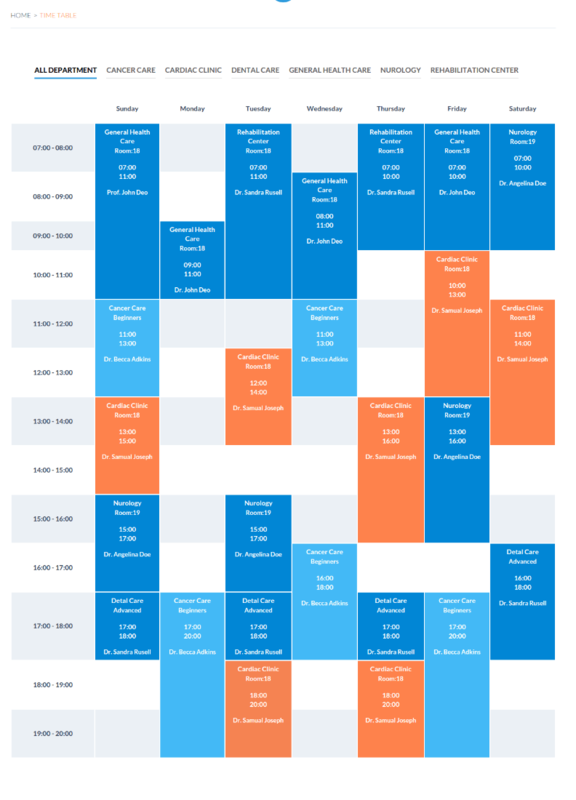 Time table element is just awesome. 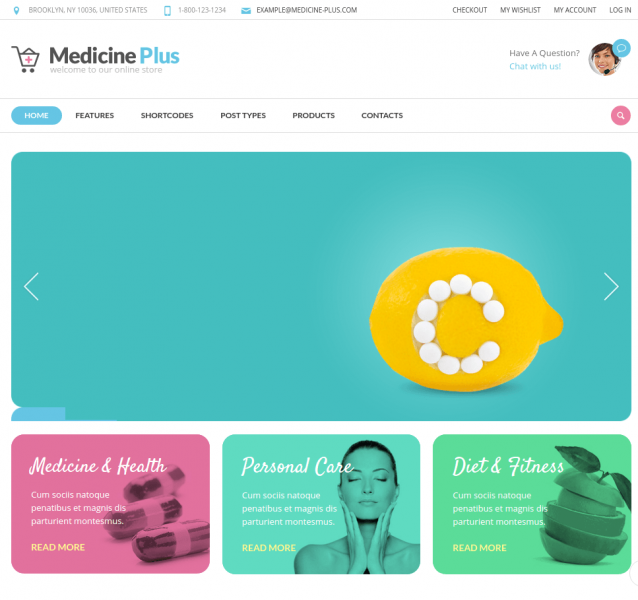 A WordPress theme designed for Health related websites. 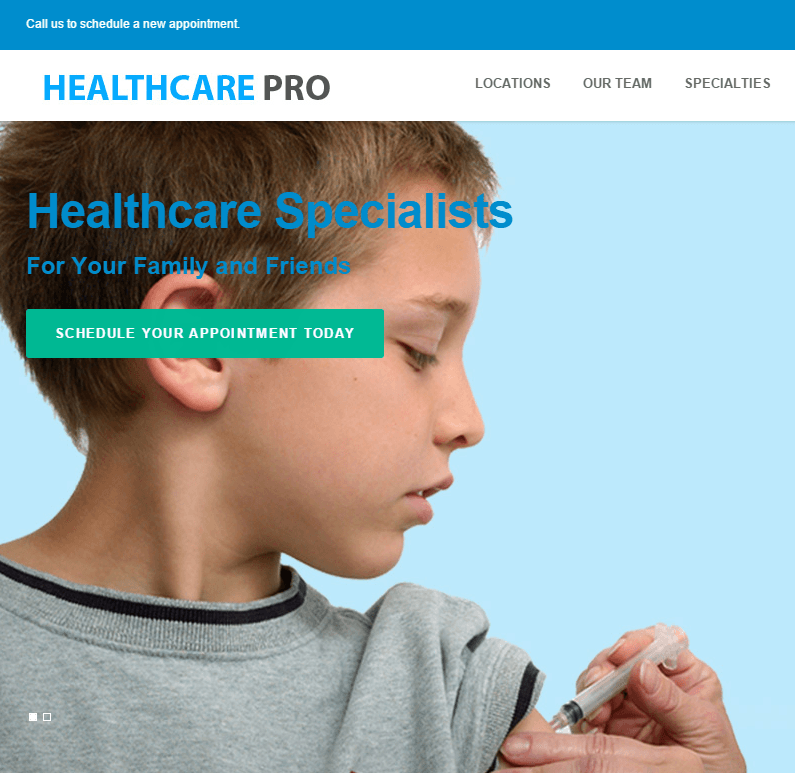 A WordPress theme for Medical and Clinical use. 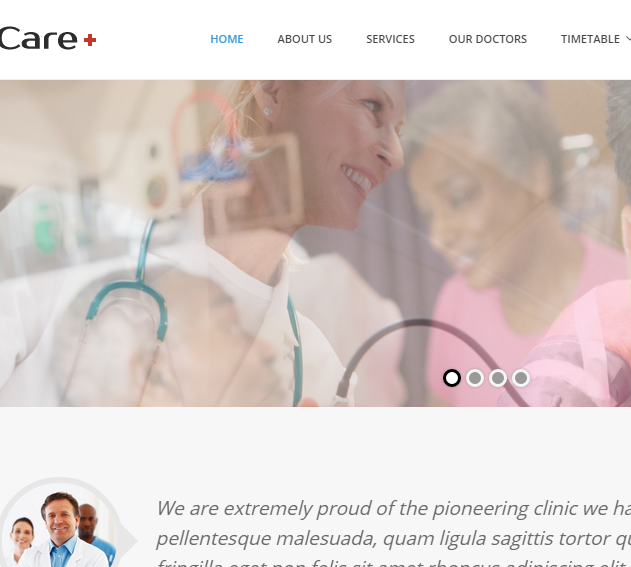 A clean & responsive Medical WordPress theme for healthcare.